As you may know by now, chia seeds are one of my favourite little power foods. One of the best things about chia seeds is that they absorb 10 times their weight in liquid, creating a gel that is hydrating, cleansing, satisfying and perfect for chocolate chia pudding! They’re also a good source of plant-based protein, provide fibre, iron, calcium and omega-3‘s and are high in antioxidants. Super-powered chia seeds make the perfect base for this rich, chocolate pudding. Thanks to these healthy little seeds, not only does this pudding taste amazing, it’s packed with nutritional benefits too. Chia seeds can be eaten whole, added them to baking, used in no-bake energy bars and balls, added to smoothies and of course, used to make classic chia pudding. The most basic way to make chia seed pudding is to mix chia seeds with water. After sitting for 20 minutes, the chia seed absorb the water and a gel-like pudding is formed. To make things a little more exciting you can start mixing in your favourite flavours to make everything from decadent dessert chia puddings to healthy breakfast puddings. The variations of chia pudding you can make are endless. 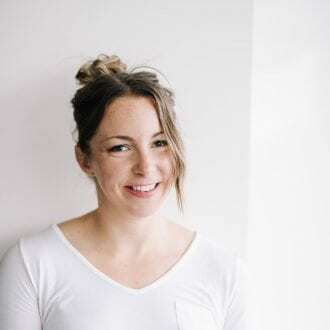 I shared 15 awesome ways to try chia pudding in this post and I’ve posted a number of my own chia seed pudding recipes on the blog. Here are some of my favourites! 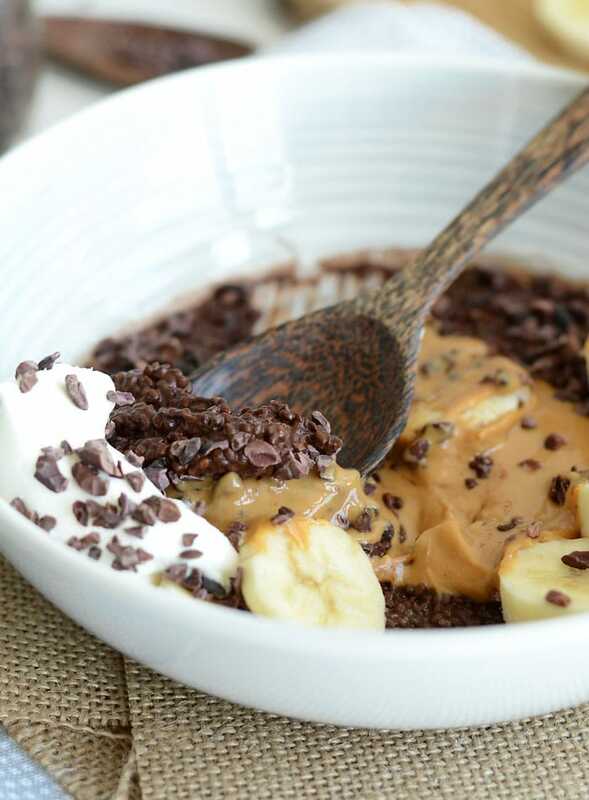 This easy chocolate chia seed pudding takes seconds to prepare and about 15-30 minutes to set. Simply mix up the chia seeds with water, cocoa and sweetener, let sit and within no time your chocolate chia pudding will be ready for toppings! 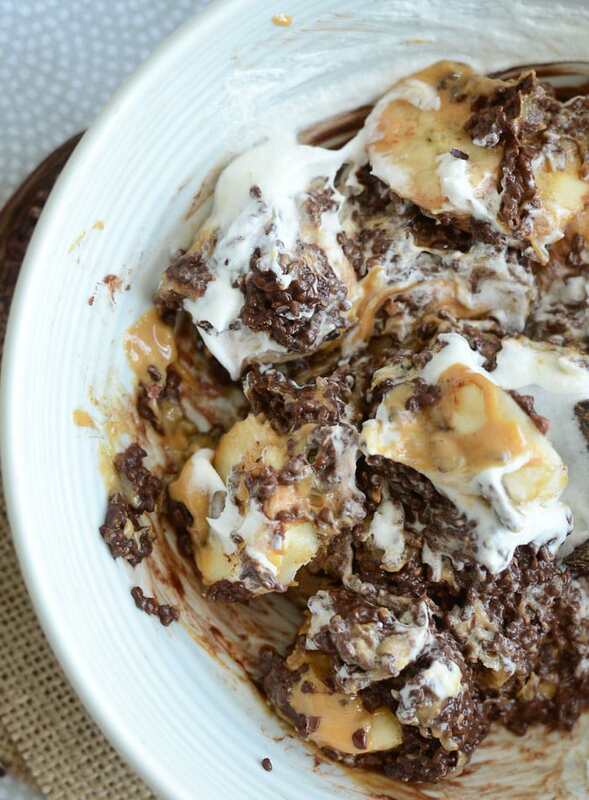 I love this with sliced banana, peanut butter and a dollop of coconut whipped cream or dairy-free yogurt. It’s amazing. 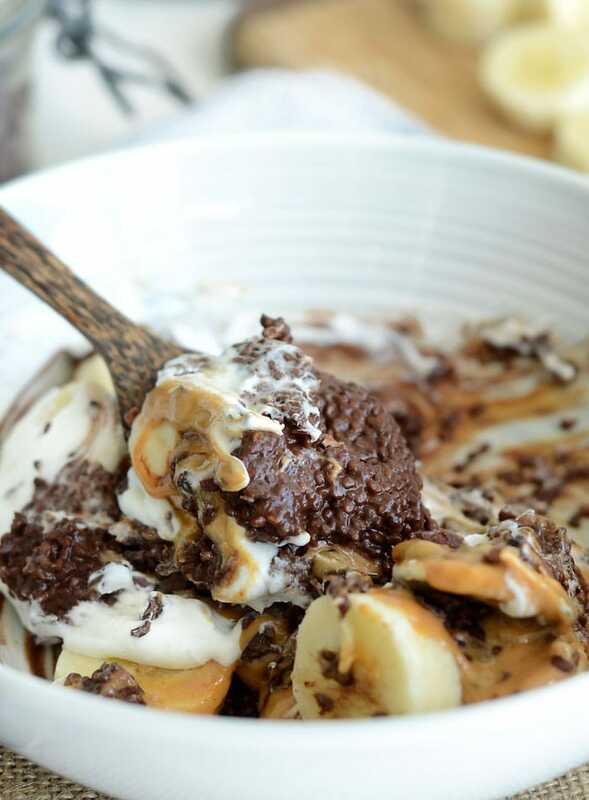 You can add any toppings you like to this pudding – I love peanut butter, banana and cacao nibs for some crunch! Some other ideas include nuts, berries, chopped dried fruit, a drizzle of tahini, date caramel sauce or anything else delicious you can think of! The simple chocolate chia pudding is basically just a vessel for getting those toppings into your belly, so load on up! 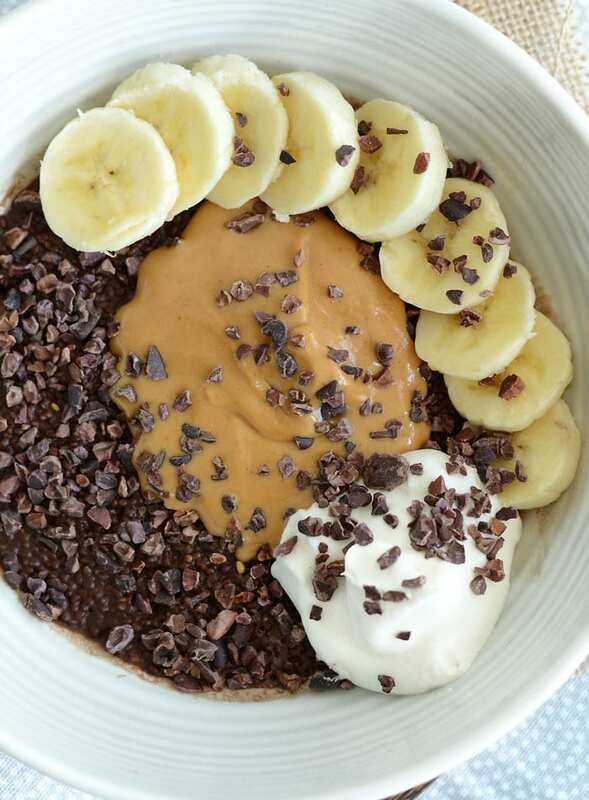 This super easy peanut butter chocolate chia pudding takes just moments to prepare and 30 minutes later you’re ready to top it with peanut butter, sliced banana and whatever else you can think of. Try it with a scoop of coconut whipped great or your favourite dairy-free yogurt! Add the chia seeds, cacao or cocoa powder, sweetener, water and sea salt (if using) to a container, bowl or jar. Mix well to combine, making sure there are no clumps. Place in the fridge for about 15-30 minutes or overnight until it’s nice and thick. 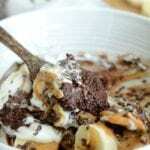 Top with peanut butter, sliced bananas and cacao nibs. Topping ideas: almond butter, tahini, coconut whipped cream, dairy-free yogurt, sliced strawberries, blueberries, raspberries, sliced mango, nuts, raisins, dried fruit, granola, cereal. This looks too good! Definitely going to need to try this! Thanks for sharing! Would it work with something like almond milk instead of water? Or would it make any difference at all? Yes, you can use almond milk. Enjoy! What’s the white stuff on the bowl? Some homemade coconut whipped cream! Does making the chia seed pudding and refrigerating it overnight make a difference, or does it half to be 15-30 minutes before eating? No, you can leave it overnight or longer if needed. Enjoy.